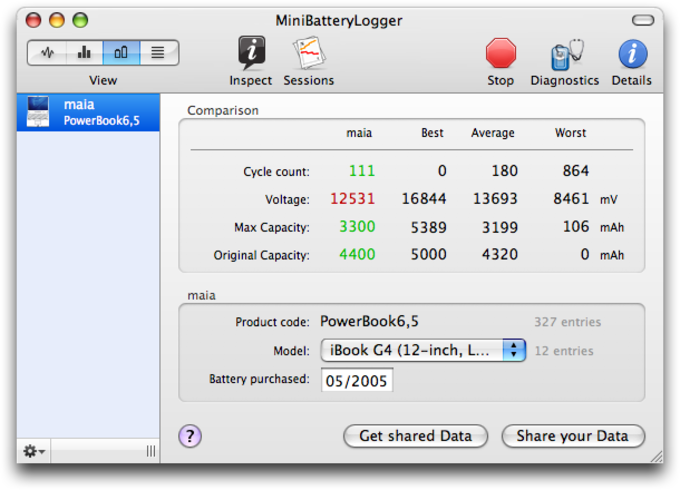 MiniBatteryLogger is a powerful, free program only available for Mac, belonging to the category Utilities with subcategory Battery. It's available for users with the operating system Mac OS X and former versions, and you can download it in English. The current version of the software is 1.8.3 and was updated on 6/13/2008. Since we added this program to our catalog in 2006, it has obtained 2,250 downloads, and last week it had 2 downloads. About the download, MiniBatteryLogger is a software that needs less free space than the average program in the section Utilities. It's a program very heavily used in Chile and India. 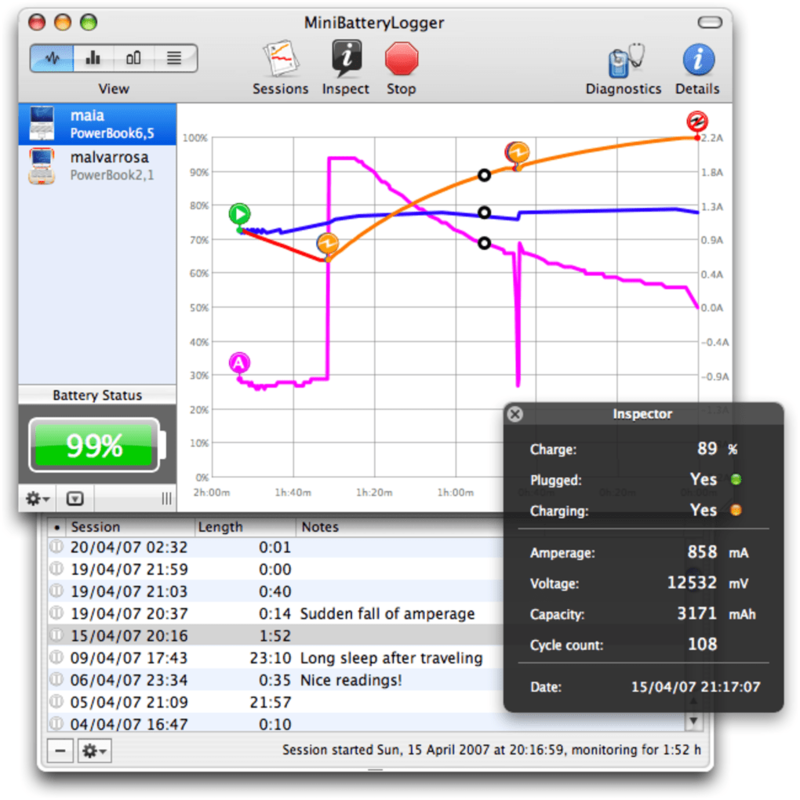 The chart view shows the graph of charge and amperage over time, with customizable colors and indicators for relevant power events. 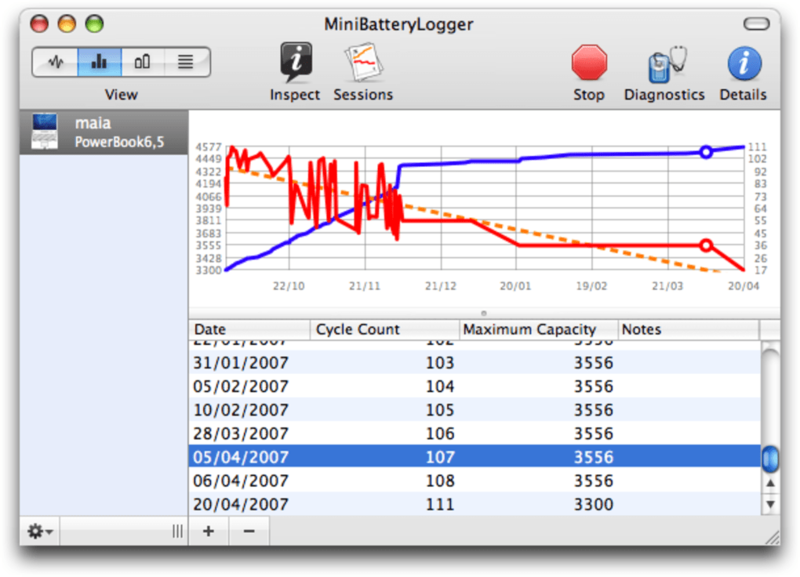 Every change in power properties is logged to file with time and date of occurrence, and it’s listed in the detailed log view. 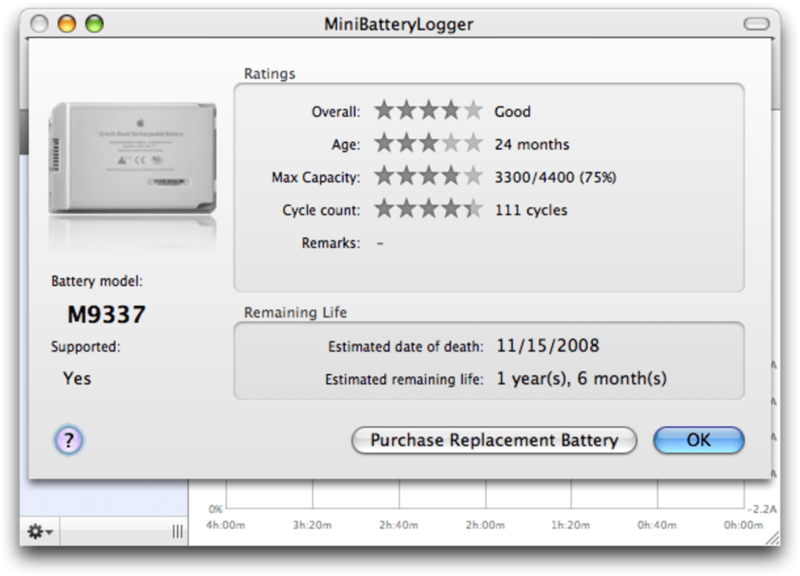 What do you think about MiniBatteryLogger? Do you recommend it? Why?